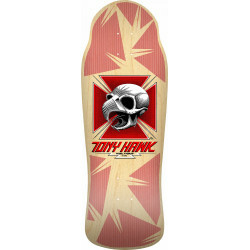 Build the best skateboard products possible. Keep skateboarding FUN. George Powell, the Godfather of skateboard manufacturing and Stacy Peralta, skateboarding legend/film producer, are proudly satisfying the needs of skaters and skateboard collectors all over the world. Powell Peralta is re-issuing some of the most popular and classic skateboards of all time along with wheels, soft goods, and many more must-have collectibles. 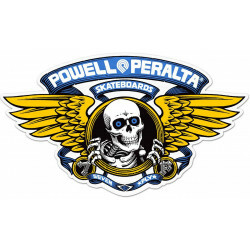 Powell & Peralta Winged Ripper diecut Sticker.